After more than a decade as CSUN’s provost and vice president for academic affairs, Harry Hellenbrand is retiring as provost at the end of June and returning to the classroom. He was recently saluted at a faculty and staff event. Read more about Hellenbrand. For one day only, open a new 529 ScholarShare College Savings Account with $50 and you could double your contribution with a $50 match from ScholarShare. The CSUN community is invited to join Walkadoo, a free get-moving program for busy people with busy lives. Sponsored by Blue Shield of California, Walkadoo offers personalized goals to make getting active easier than ever. 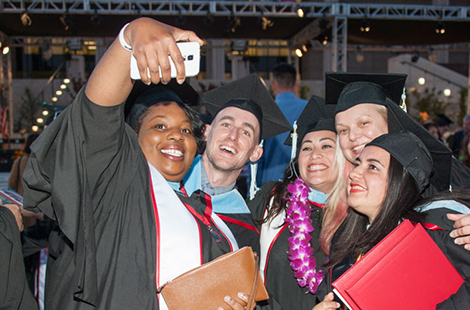 President Dianne F. Harrison and the Cabinet invite all faculty, staff and their families to a special summer event to celebrate the completion of another successful academic year. Come enjoy food, activities and giveaways for the entire family.